Hawaii is our favorite place in the whole world! We are madly in love with the culture, scenery, different ecosystems, small towns, the food, the people, the beaches, and the hiking. We have been to Hawaii 5 times together, including 2 trips to the gorgeous island of Maui (you can read about our latest trip here). In both of those visits we have explored many of the island’s beaches, natural sites, restaurants, and towns. 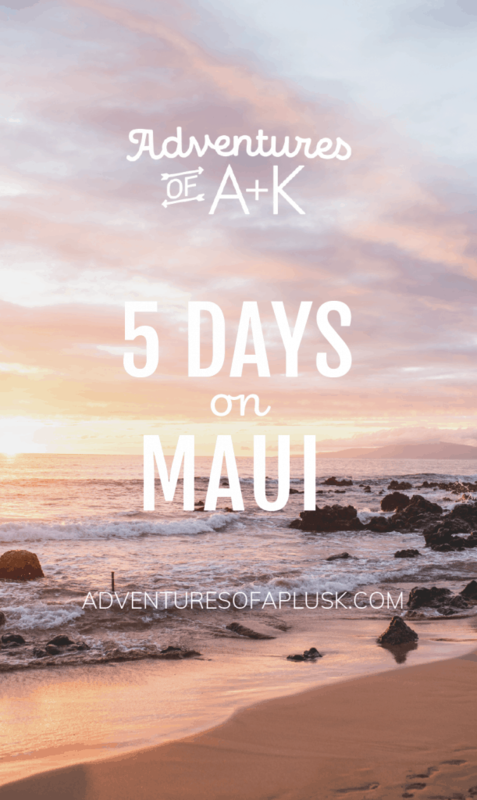 Here’s our 5 day Maui itinerary with our favorite must-visit spots, cheap eats, and more–organized into an easy to follow guide based on different areas of the island. We hope the guide helps you plan a magical Hawaiian vacation! 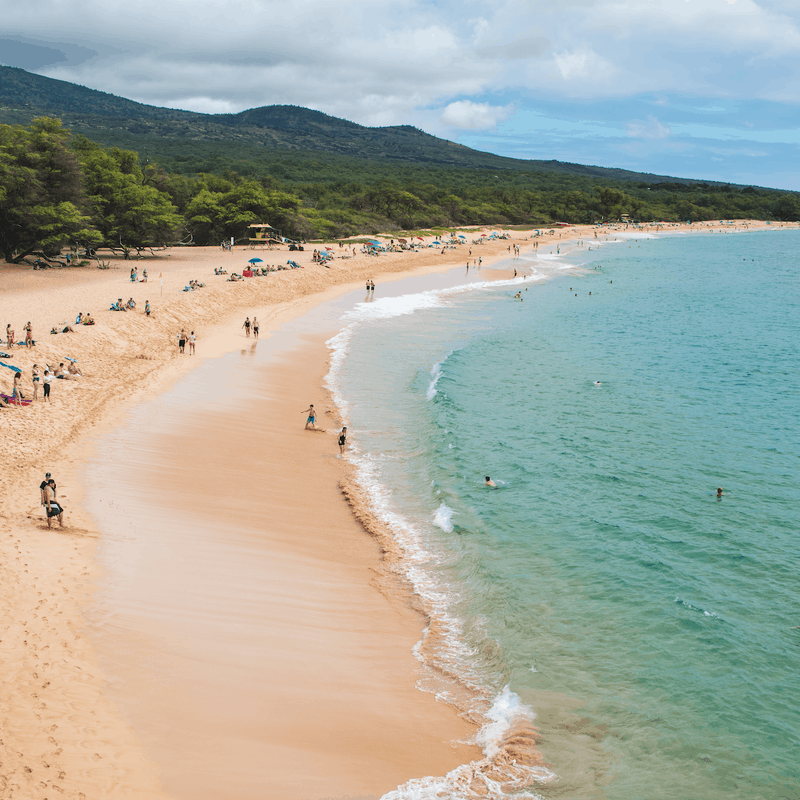 ​Located on the SW shore of Maui, Kihei is home to many restaurants and beautiful beaches. It’s centrally located to many spots on the island and has tons of Airbnb options across multiple price points. This is the large and busy tourist area of Maui full of beachfront resorts. These resorts can be pricey, but if you want a lot of amenities, such as restaurants on site, large pools, maid service, etc, this is a great spot to stay. 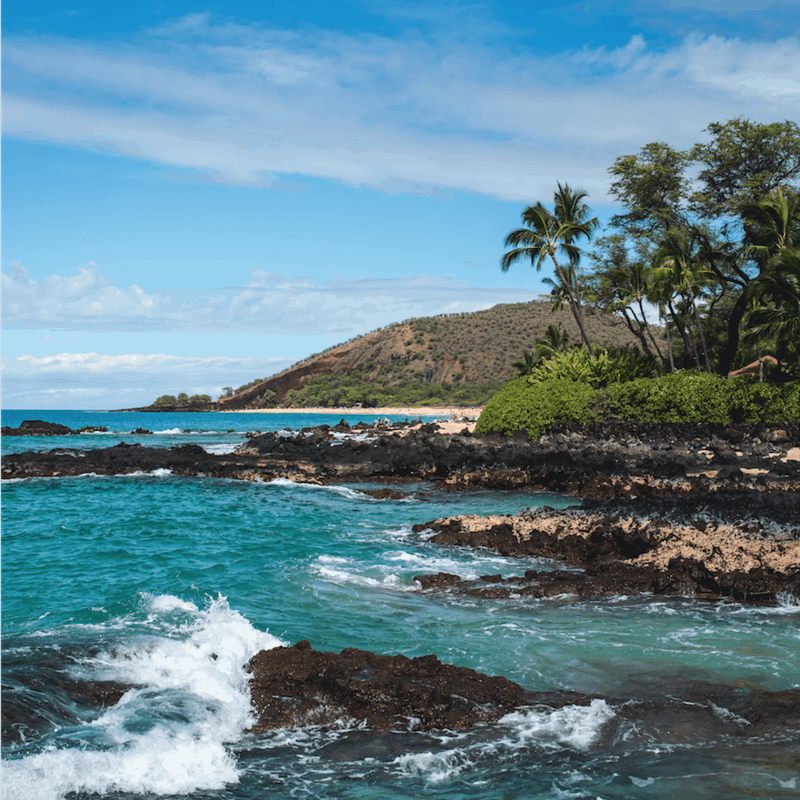 Top resorts: Honua Kai (this is where we honeymooned–good for families and groups! ), Westin Kaanapali Ocean Resort Villas (also good for groups), Sheraton Maui, and the Marriott Maui Ocean Club. Kapalua and Napili Bay are right next to each other in West Maui and offer a mixture of resort and condo options for your stay. This area is home to some of our favorite beaches and great golf. 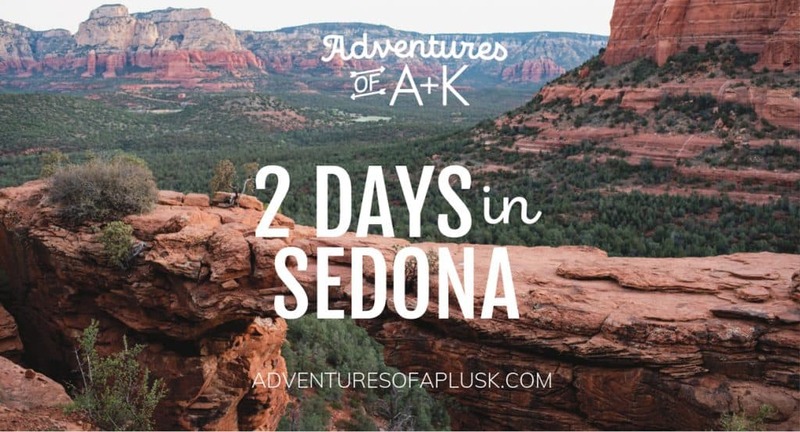 It’s a little farther away from some island attractions, but it’s more peaceful, secluded, and quieter than Kaanapali and Kihei. If you want to be a big spender, there are two super nice resorts in Kapalua: The Ritz Carlton and Montage Kapalua. Paia is on the north side of the island and is probably our favorite area! 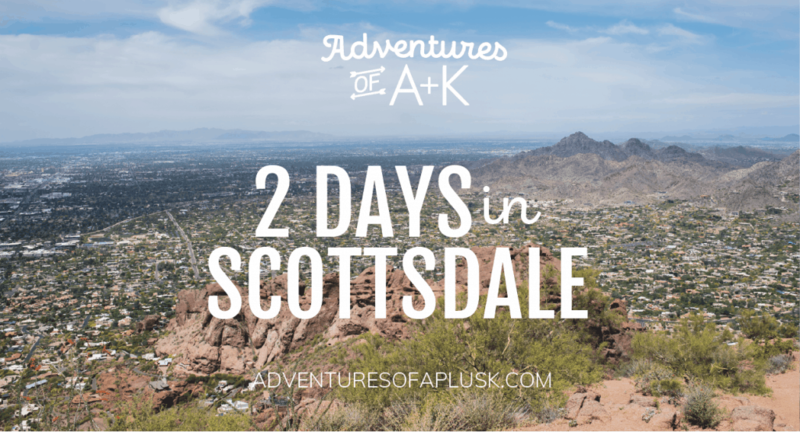 It has a small town vibe, lots of beaches, cute shops, and more! We definitely want to stay over here next time for at least part of the trip. It’s also the beginning of the Road to Hana, so it would be a good place to stay before or after. There are no large resorts over here, just some Airbnbs! Our Instafriends Klara and Brandon rent out THE COOLEST 1975 Volkswagen Camper Van. If you want to experience Maui in style, you can rent it here! 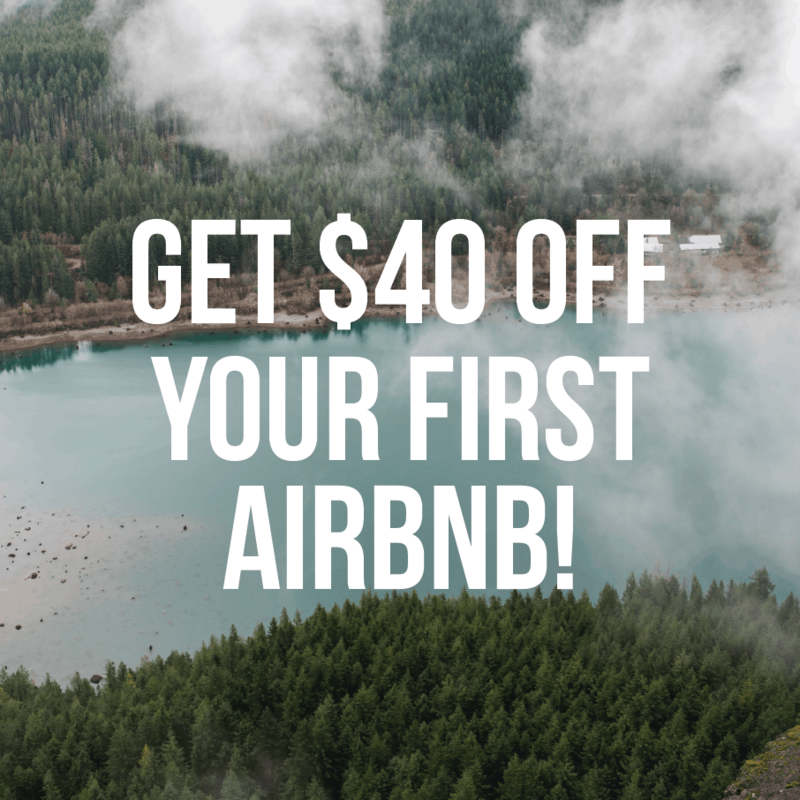 PS: If it is your first time staying at an Airbnb, click this link to get $40 your first stay! If the weather looks bad, we’d recommend skipping it. Both times we have gone to the top it has been fogged out. Sunset is another good option! After getting up early for Haleakala, you’re gonna need some coffee! We love Akamai Coffee in Kihei! 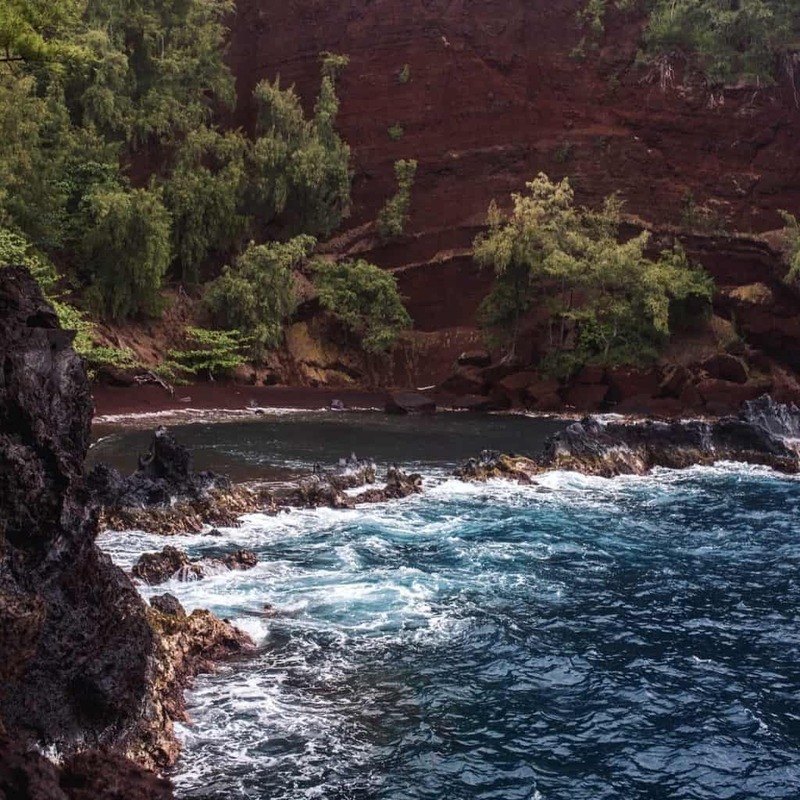 Spend a few hours at Secret Cove, also known as Makena Cove/Pa’ako Cove. This was one of our favorite beaches on the island! Pack a picnic lunch to enjoy at the beach. We love to beach hop and recommend watching the sunset at Keawakapu Beach. But if you’re not wanting to hop around, Big Beach is a great spot too! ​Have dinner at Coconut’s Fish Cafe. Their tacos are amazing! Have a quick and early breakfast at Island Vintage Coffee. We recommend getting their Island Latte and an acai bowl! ​Note: If you’re staying in Kaanapali or Napili/Kapalua, Island Vintage Coffee will be on your way to the trail. If you’re staying in Kihei, we recommend checking out Brekkie Bowls ​instead! 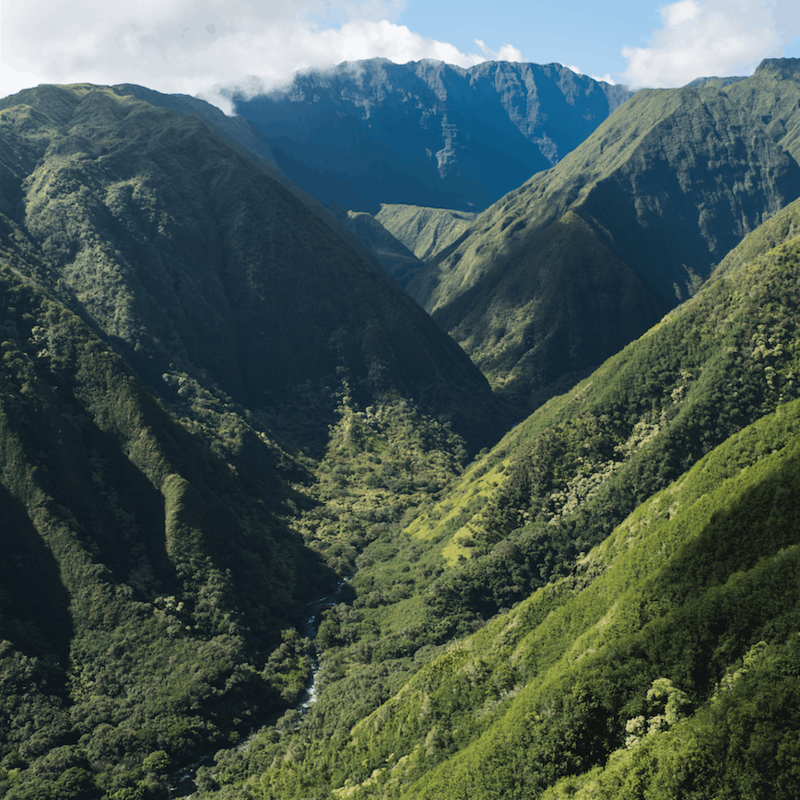 ​Hike the Waihee Valley Ridge Trail—4-5 miles, 1,519 ft elevation gain, and beautiful views! Try to get there early (around 8 AM) before the clouds roll in. Drive along Highway 340 to Kapalua—WARNING: it’s a very sketchy road and has one lane along cliffs at times. But the scenery is beautiful and the experience is one you’ll never forget. Stop at the Nakalele Blowhole on Highway 340. We tried to do this once in flip flops and it can be muddy and slick, so wear good shoes! Have a late lunch at The Fish Market Maui. 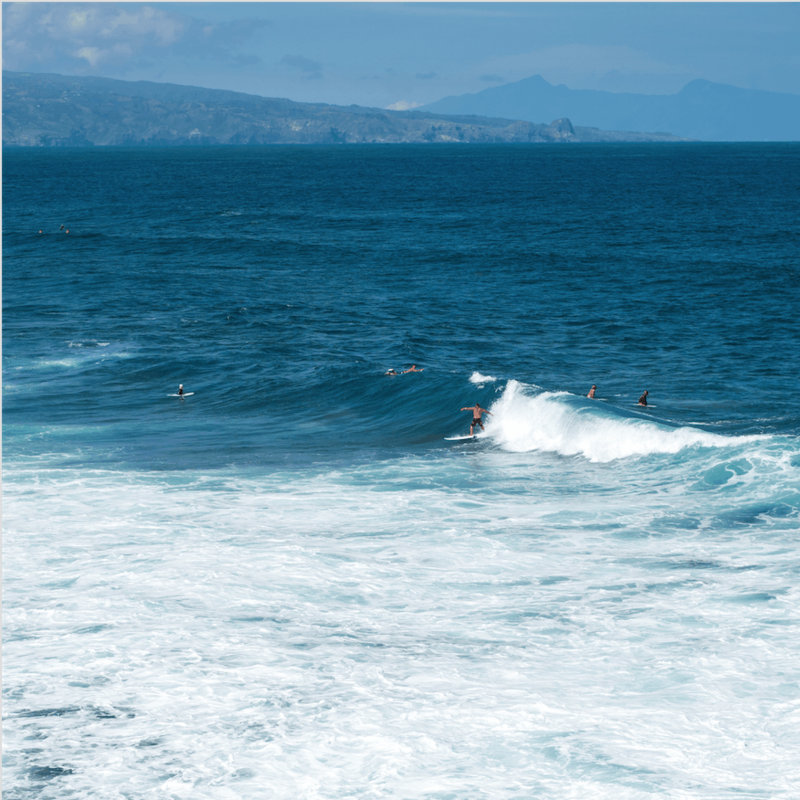 Spend the rest of the day at Kapalua Bay Beach. We love this beach–the water is calm and good for snorkeling and the views are beautiful! Duke’s Beach House—Get the Hula Pie! Walk around the shops in Lahaina. Front Street is a really cute street right across from the water with a lot of touristy shops, but it’s still really fun to explore. Have lunch at Paia Fish Market or Lahainaluna Cafe! 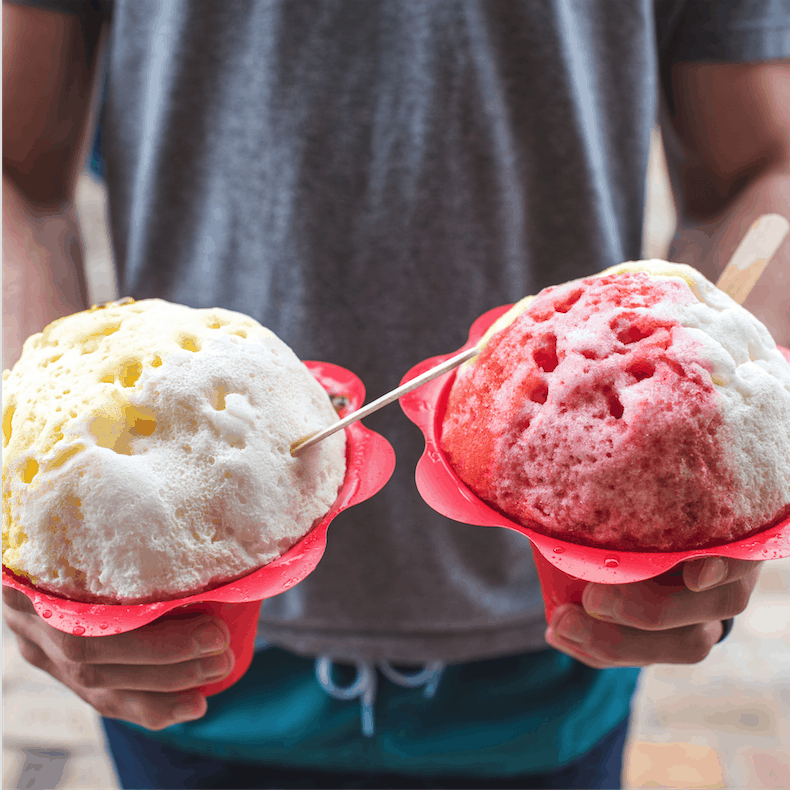 Get shave ice at Ululani’s–our favorite on the island! Make sure to get the Mac Nut ice cream on the bottom and snow cap on top! Freshen up a bit and head to the Old Lahaina Luau—this is a super fun activity if it’s your first trip to Maui! Get an early start! This is a full day of driving–between 12-15 hours including all of the stops. It sounds daunting, but it’s SO worth it! Make sure to download the GyPSy Guide Hana app to guide you through the road. Even when you don’t have service it knows where you are and provides commentary and history about the area, as well as alerts you when to stop. Enjoy breakfast with a view at The Gazebo. We suggest getting there a little bit before they open. The line gets long! Drive to Paia (north shore) and have coffee + lunch at Paia Bay Coffee. A cool cafe in an outdoor courtyard! Grab an acai bowls at Paia Bowls. 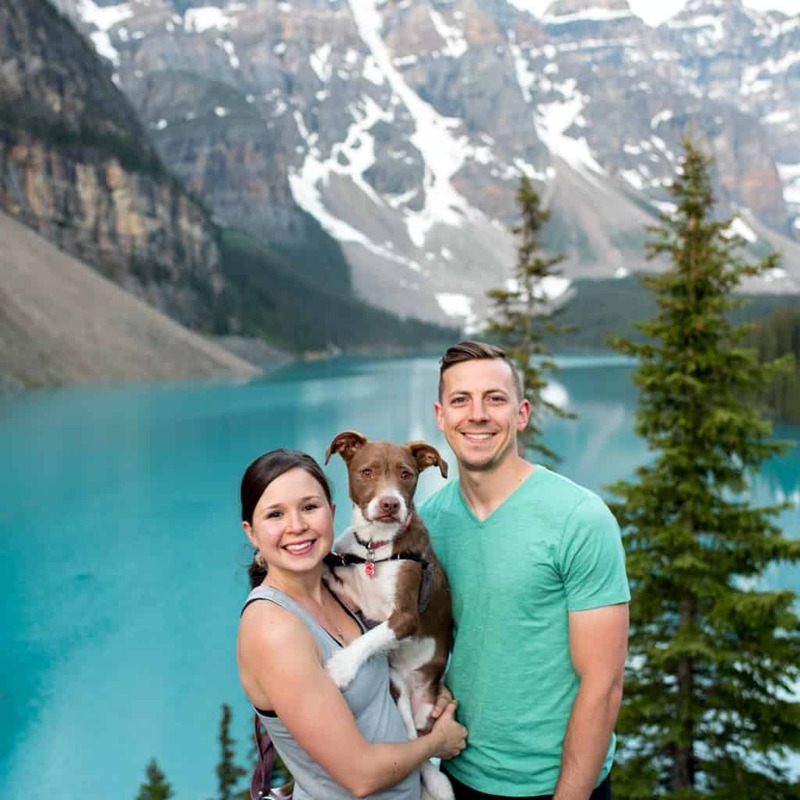 Missing your pup at home? 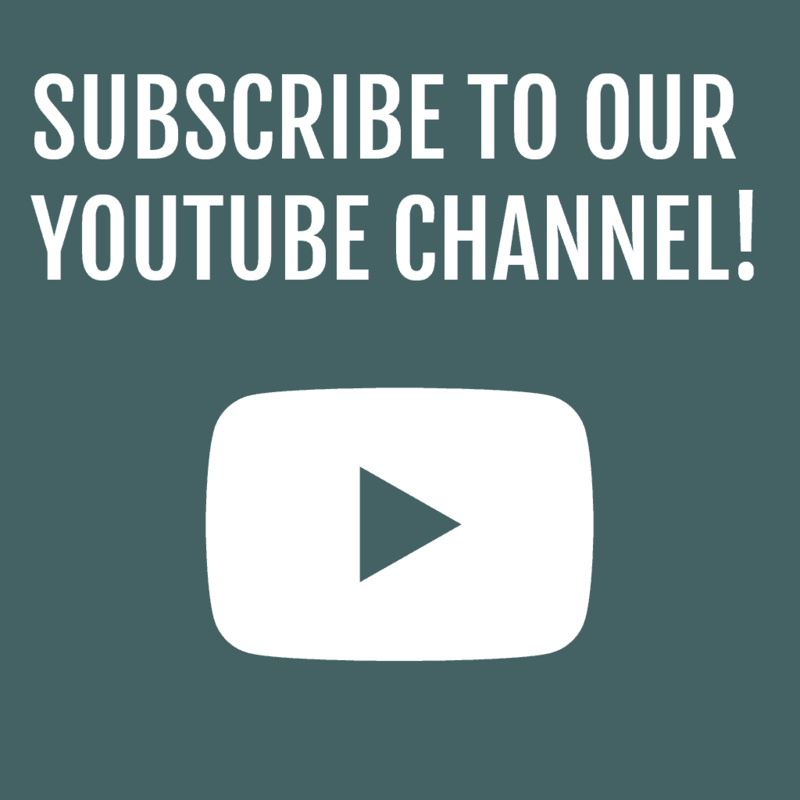 Get some quality dog time (and give back!) by taking a shelter dog from Maui Humane Society out on an adventure! Their “Beach Buddies” program is every Wednesday and Friday from 11 AM-4 PM. 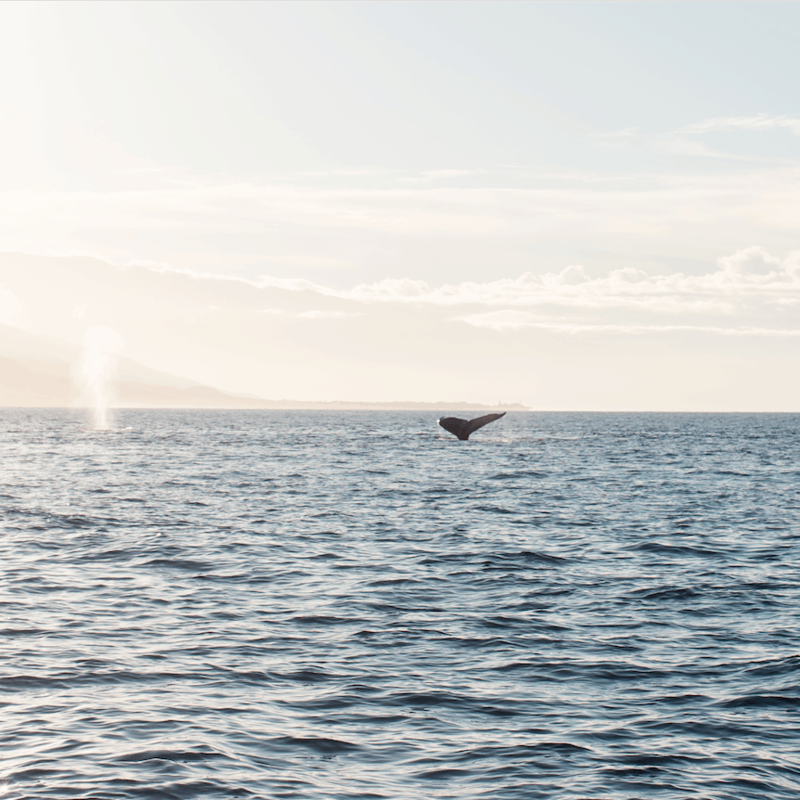 Pin our Maui itinerary to help plan your trip! Well this adventure is unforgettable . 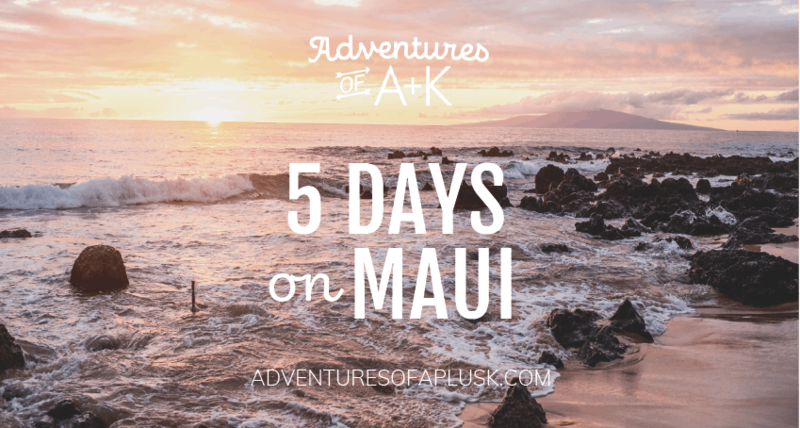 We love Maui, there’s sooo much to do! Are you going there soon?